A couple years ago, I did a 90-minute interview with Chase Jarvis, one of the world’s best artists and photographers. It’s free and it contains some of my best, most hard-hitting material on psychology, persuasion, and marketing, so I hope you check it out sometime. I intentionally did this video for free because, while I keep most of my best material in my premium courses, sometimes I want to share what I’ve learned with a wider audience. I also hid at least 7 secret strategies in the video. Can you spot them? Update: I took some of my best material on marketing and psychology on the internet and created a massive Ultimate Guide to Digital Marketing. In this FREE 8-part guide, you’ll learn which marketing strategies you should start with, and which you can safely ignore. Check it out here. One of the cool things about running this business is I get to bring you the best of the best — authors, world-famous artists, Olympic trainers, psychology experts…and on and on. When I meet the best, I always want to know how they did it. I believe the #1 person in a market knows 100x what the #2 person knows. They’ve been to the top of the mountain, and they can share the path to getting there. And today, I get to do exactly that with one of the masters. This time, I asked Chase Jarvis into my studio and sat him down to ask the toughest questions on mastery, expertise, and becoming the best. How do you stand out when there are a thousand other artists who would take your place for 1/10 the price? How do you get hired by Lady Gaga, how do you charge hundreds of thousands of dollars for one photo, how do you hang out the side of a helicopter and get paid for it? Chase isn’t just a photographer and an artist. He’s also the founder of CreativeLIVE, a company I was so impressed with, I invested in it. So I invited Chase into my studio to explain the intricate psychology behind positioning, marketing and selling your art (whether you’re a writer, an analyst, even a marketing coordinator, we all “sell” our services every day) — including how you too can become highly-paid and sought after in your field. Fantastic video. I’m impressed he’s able to not look at e-mail until 11am! That’s phenomenal! I’m not a huge fan of this strategy. I find checking e-mails first thing and then again at lunch time and once more at closing is the best. It takes all our staff awhile to get into work mode in these times and at least they are doing something productive. Not long after, I saw the first Creative Live workshop, and I thought, “That’s it!! That is exactly what I was talking about! !” (but with a better biz model than I ever dreamed of, with free content live, available to purchase after the fact) I would have invested in CL too, if I could have. It is a great great business. So now I have to wonder, how do you know when your ‘great idea’ is great and worth pursuing? And when do you just let it go? When do you take action in spite of the feedback? And when do you let the feedback shut you down? thanks for sharing this so openly ramit. @tanya – you never know which ideas are your best. sort of like spending money on advertising… 50% of it is wasted. you just never know which 50%. @johnny – I do my best to put it off till 11. I can’t emphasize how much better it makes my day. 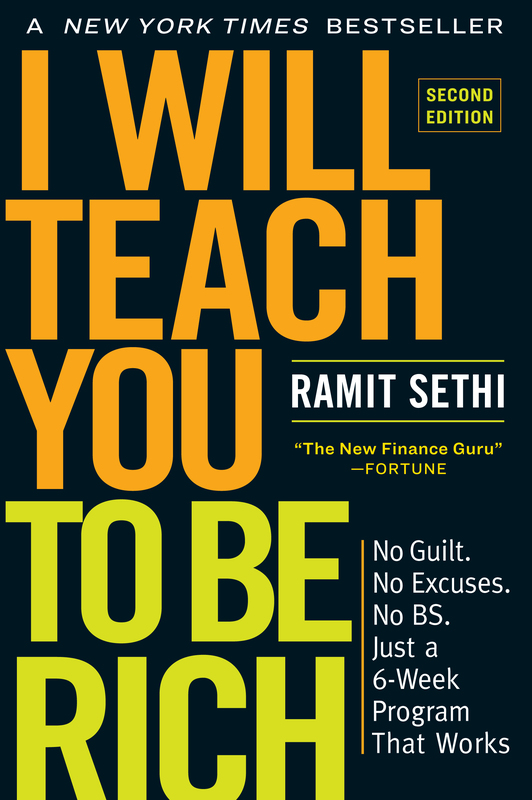 Great Content Ramit! I’m really impressed by your setup with Chase as well. I really feel that gaining access to certain types of clients is based on how you present yourself to others and how they perceive you. Awesome tutorial ramit, i like the setup chain. Its more of showing unique capability of getting quality clients. Ramit, your content is the best! I really want to see the whole thing. I am a photographer and Chase is a huge inspiration to me. I saw your interview from over a year ago and really enjoyed it. Waiting to get in the Brain Trust when it opens again. Guys like Chase really inspire you to come to the top of your profession. Good teaser. I think you really should give chase some pointers on conducting interviews for chasejarvislive. I’m not a photographer, but Chase Jarvis is an inspiring person. He did a great interview with Tim Ferriss. Great info for any artist or entrepreneur! This was an really good video, I didn’t think that as an online marketer I would be able to relate that much to Chase but I watched the whole thing through and loved it. I love his ideas about framing and getting the best positioning for yourself and your skills and therefore being able to charge fairly for your services. Either directly or indirectly he displays some of the most powerful approaches to getting a premium for what you can charge, and that is social proof. When he describes his project with the chef and rockstars you can see why people would come to him for photography and creative ideas. This would also give him some serious credibilty due to being associated with these sort of people. A lot of good internet marketers do the same thing, they surround themselves with other big names in the industry and this gives their customers the peace of mind that other respectable names can vouch for them and their services. I feel that its not only the output and result of your work that is important, but also the journey, how you make the customer feel and how you address their needs. That all comes down to service and final outcome. The final thing that really struck a chord with me is how balanced Chase’s approach is to his regular life and how he doesnt go to extremes like many successful people tend to do ( at least in the beginning of their careers). Never thought of it this way. The video was a fun watch, everything from the systems to thinking about your long term goals was great advice that anyone trying to tackle a lot of work in one day should implement. Great talk! I’ve found most artists wait to get discovered. Being the one to take initiative to find and contact your future clients will put you ahead of 99% of artists out there.